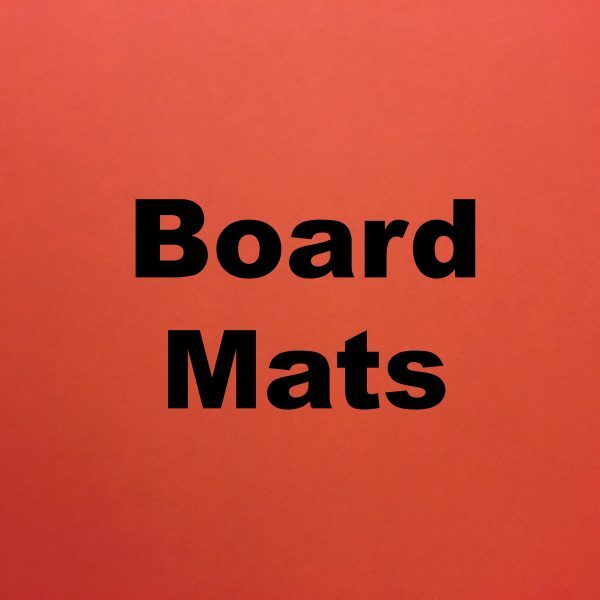 -Board mats can be put on any size page, up to tabloid size (11" by 17"). For any size larger than this, please contact us for a quote. -Front image should be placed on one page and the back should be placed on another page. Make sure to center the image in the page so that the front properly mirrors the back. -Crop marks should be placed on the front file for a double sided board mat, outside the printed area. Your board mat will be within 2mm of the size you requested. Note, you only need to enter the dimensions for one of the boards, not on every sheet if all the boards are the same size.